Given any source point and destination point on a chess board, we need to find whether Knight can move to the destination or not. The above figure details the movements for a knight ( 8 possibilities ). 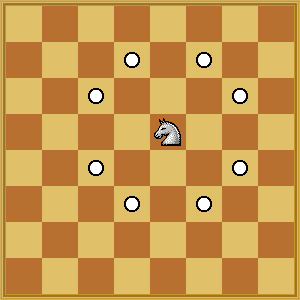 Note that a knight cannot go out of the board. If yes, then what would be the minimum number of steps for the knight to move to the said point.